Anyway after searching since last Christmas (literally!) I finally decided I would just order a load to try on. I went for a mixture of black, brown and brown-beige coloured and heels and wedges. I thought I would show what I bought, initial impressions in a mini-review sort of way and then tell you which ones I decided on. 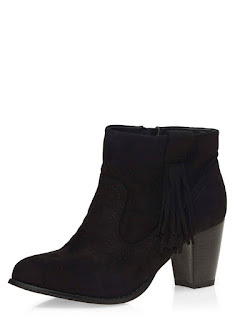 I thought these boots were super simple in the plain black but the gold on the side of the heel added a bit of glam! While these fit really well, admittedly the were a lot higher than I'm used to. I found it quite difficult to walk in and so they weren't very comfortable. 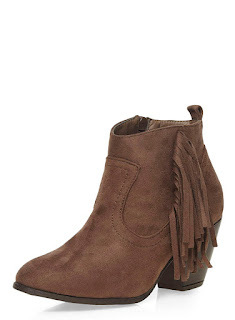 Really cute but the actual boot went up really high on my ankle-calf so when I walked it felt like it was rubbing. So my preference, no. Again simple and these were really comfortable. They were wedged but not too high so perfect for clubbing. The little tassels at the back I thought would add a bit of glam but it actually makes them look - dare I say it? - tacky! I also think they look a little cheap and like they're going to fall off. 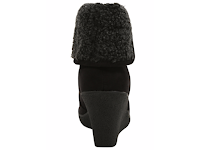 I wasn't planning on buying furry boots because I already have some furry daily boots in my UGGs and some plain black ones from Dorothy Perkins 2 years ago. But as soon as I saw these, I fell in love! They are seriously so warm and comfy, so pretty and seriously so well made! - KEEP! LOVE LOVE LOVE! For the price, quality definitely not worth it. The back on the boot inside, the sole is loose already after one try on. I think the boot, the style and the quality is amazing on these. 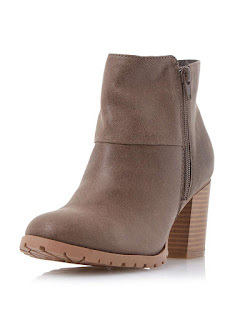 I would love to have just a little more of a dressier boot that looks more casual. I currently have my UGGs for most use but if I was going for a meal after something, these would work perfectly! My only concern is the colour. I wish it was just a little more darker, like a dark brown. I also bought 3 dresses but they were all the same dress in different patterns. I loved the dresses and colours, even the quality was great but the actual chest area was so small and tight so clearly I didn't fit in the slightest. They only just fasted over Jess' breasts and she's a B cup so they were never going over my E! Hope you enjoyed this haul post. Let me know what you think are the nicest looks wise, and which ones do you hate? !